Forum topic: How Much Is My Antique Porcelain Worth? 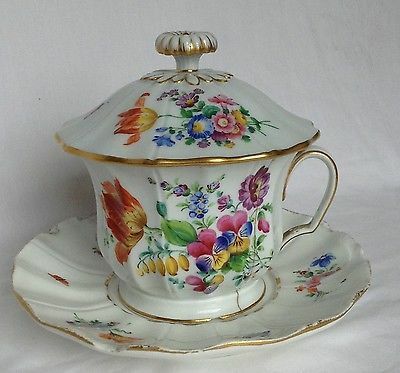 I think this old meissen tea cup price is about 75 euro. I have many antique porcelain from legacy. I'm just curious about my antique porcelain's value. I don't care about all the different values. I just want to know how much my porcelain is worth! A beautiful set damaged though it is. Hand decorated with butterflies moths and bugs. The floral painting is absolutely stunning. There is damage to the saucer and cup but the lid is in nice condition.